AHOS | A History Of Style: KYANI, a new brand for healthy people and sport fanatics. GOTTA TRY IT! KYANI, a new brand for healthy people and sport fanatics. GOTTA TRY IT! 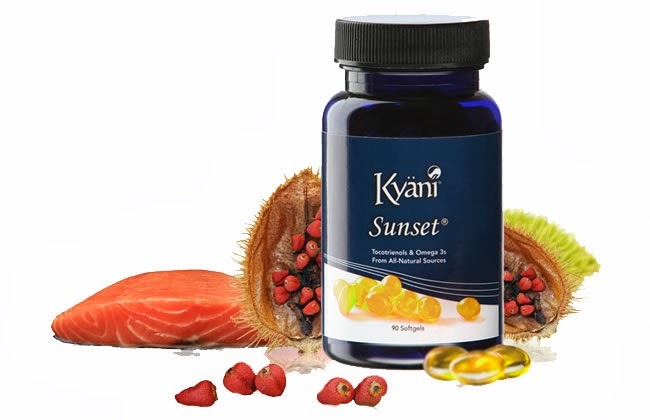 Kyäni Sunset™ is the perfect combination of Tocotrienols (the most potent form of vitamin E) and omega-3s. This product uses pure annatto bush seed to harness the health benefits of Tocotrienols. Kyäni Sunset™ omega-3s are derived from the wild Alaskan Sockeye Salmon and other wild Alaskan fish. Research has shown that wild Alaskan fish have the purest form of omega-3s in the world. Paired together, these two Superfoods are available exclusively through Kyäni Sunset™. 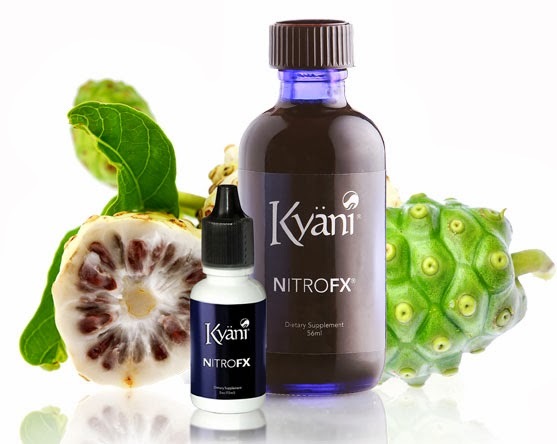 Kyäni NitroFX™ is a proprietary blend of noni concentrate that has been proven to increase the production of Nitric Oxide (NO). Also known as “The Molecule of Life,” Nitric Oxide repairs, defends, and maintains every cell of the body. Studied extensively by researchers and physicians, Nitric Oxide has been touted as a powerful, health-promoting molecule by tens of thousands of scientific papers. Kyäni Nitro Xtreme™ is a proprietary blend of Noni plant shown to increase the production of Nitric Oxide (NO). Also known as “The Molecule of Life,” Nitric Oxide repairs, defends, and maintains every cell of the body. Nitric Oxide has been studied extensively by researchers and physicians and is touted as a powerful, health-promoting molecule by tens of thousands of scientific papers. Built on the strong foundation of Kyäni Nitro FX™, Kyäni Nitro Xtreme™ contains higher nitrate levels plus CoQ10, Magnesium, Zinc, Chromium, and Niacin. These additional ingredients help increase the production of Nitric Oxide in the body. 0 commenti → KYANI, a new brand for healthy people and sport fanatics. GOTTA TRY IT!